On Hot Rize "Untold Stories" and "So Long of a Journey"
You've got some thinking to do. 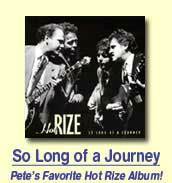 On Hot Rize "In Concert" and "40th Anniversary Bash"
As they travel on an on. On Hot Rize "Radio Boogie"
On Hot Rize "When I'm Free"
I wonder now where did they go? We'll never know, we'll never know what we may find. It's been so long I've been alone. I want it back, is it still there? We'll never know, we'll never know, don't say goodbye. On Hot Rize "Take It Home"
By your kindness on my dying day. 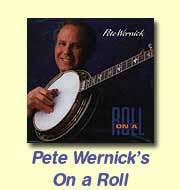 On Pete Wernick, "On A Roll"
Till they haul it all away. It still means a lot to me. They really mean a lot to me. I can't bear to throw away. Till they haul us all away. Were those just lies you told me not so long ago? Is it true you don't even care? (Chorus:) Broken vow, don't you remember what you said? Just tell me, babe, what's going on? I'll get you back for this somehow. I've got to start my new life now. Run through the streets singing "Ruthie"
Walk through the streets singing Ruthie. Don't know the treasure of my Ruthie. I do it all for you Ruthie. Walk through the streets crying "Ruthie"
I'll be with you someday Ruthie. 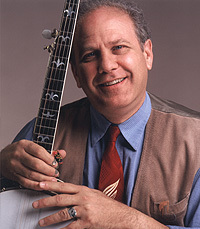 On Pete Wernick and Flexigrass, "What The"
I'm happy to be just thinking of you. And I came back to spend my life with you. As I sit here picking and thinking of you. 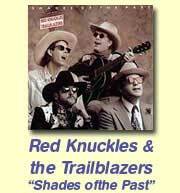 On Red Knuckles & the Trailblazers, "Shades of the Past"
And walk with me and talk with me. And give my heart to you. As I sleep at night I hold you tight. I'll love you as long as I dream. When I see you each night in my dreams. On Country Cooking, "Barrel of Fun"
See you around (bye bye) Colorado bound. And spend the rest of my time just singin' a lonesome song. It's so much easier sittin' here singin' a lonesome song. 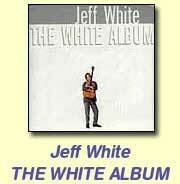 On Jeff White, "The White Album"
But then you put me down below. Cold cold heart, I'm through with you. But I know now I'm better off alone. 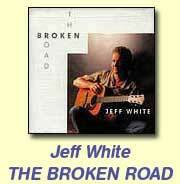 On Jeff White, "The Broken Road"
That's the main thing that I know. A chill in the air and a warm fire burning at dawn. The friends that I've had, they helped me get out on my own. I know they're a part of my soul. The fire in my heart, may it burn bright from midnight till dawn. For rights to commercial printing or recording of these lyrics, please email Pete.